For the past few days, it has been cold and nothing warms my cockles up more than my butternut soup and cuddles on the sofa with Leanora. I love a good rich soup, at my granddads house every Saturday come rain or shine my grandad makes soup, I think it is a Caribbean thing, be it beef, pork or a bean soup and even though it is not Saturday I did make this over the weekend and thought I should carry this tradition on, now that I have my little Cha-Chi. I have finally mastered this soup and decided to share with you. What I love about this soup is that it leaves me feeling all warm and sung, plus the colour is amazing. 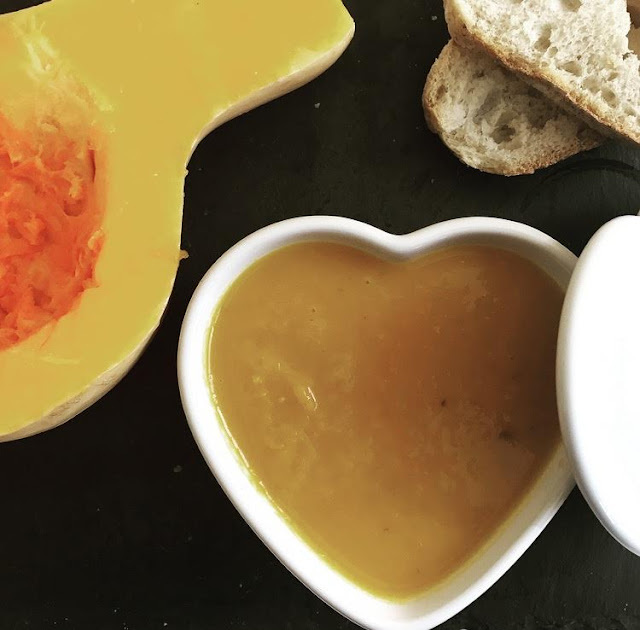 I am quite fortunate that Leanroa loves all vegetables, so this went down a treat with her, so perfect for kids, or most and what is great if your little ones or other halves hate vegetables, your veggies are all blended, so they wouldn't even know. 1. Heat the olive oil in a large saucepan, pour in your chopped butternut squash, coconut milk, vegetable stock and curry powder. Bring to a boil, then cover and leave for 25 mins to simmer over a low heat. 2. 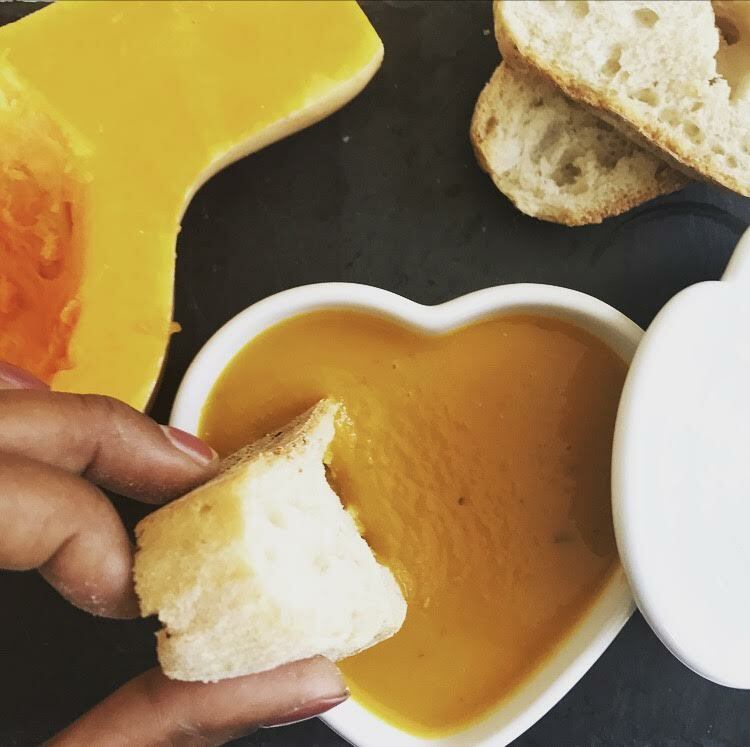 Decant your soup in to a blender and whizz for 40 secs, or to the thickness of your choice. Decant then in to soup bowl. Have you got any great dishes you will be making this fall?